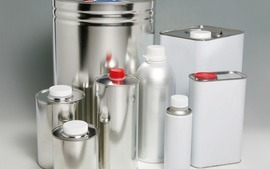 Discover our complete range of cartridges, bottles, cans and bags. 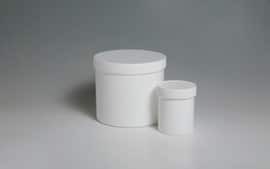 We look for the most suitable packaging solution, taking into account the product, the volume and the intended use. Packaging into 310 ml cartridges is standard for professionals and individuals. 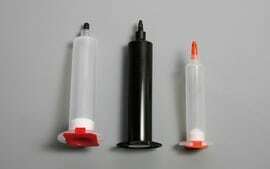 These cartridges are available in aluminium or plastic. 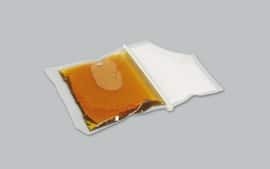 They are mainly intended for sealants and greases. 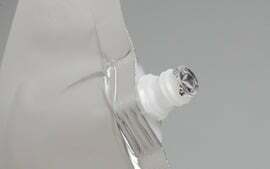 They are used together with an application dispenser (lsite link) and are often associated with cannulas. 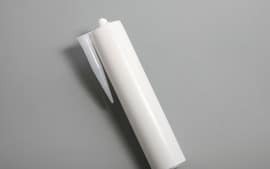 Screen printing is possible from 500 tubes and offset printing from 3,500 tubes. 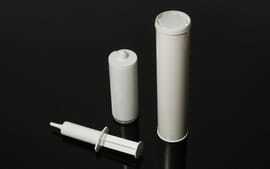 Other more technical cartridges exist, ranging from 75 to 900 ml, some of which come with UV-protection. 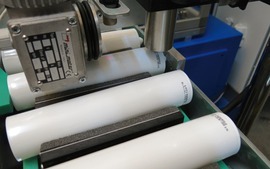 They can be extruded with a suitable dispenser or directly on dosing machines. 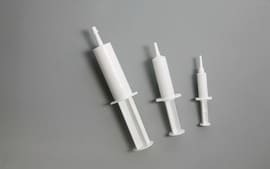 The syringes are made of plastic and come with a plunger. Volumes range from 5 to 60 ml. 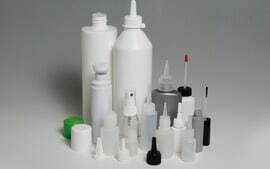 They are often used for greases as they allow precise lubrication using small volumes and for phytosanitary products (insect repellent products). 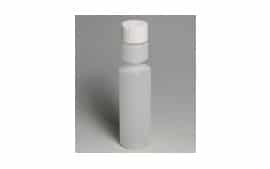 Other more technical syringes exist, ranging from 10 to 60 ml, some of which come with UV-protection. 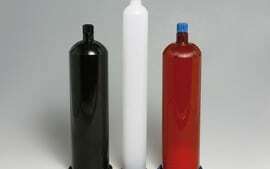 They can be extruded with a suitable dispenser or directly on dosing machines. 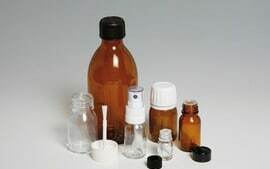 We package into glass bottles from 15 to 250 ml and plastic bottles from 7 ml to 1.5 L. Various types of caps are possible: brush type, with obturator, vaporiser, tamper-proof, child safety, foam tip, pipette, cannula and or dropper. The usage possibilities of bottles are diverse. 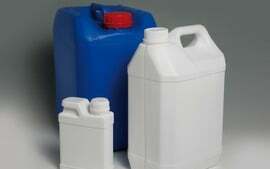 We fill bottles with engine or bicycle chain oils, industrial sealing products, cyanoacrylate glues, wood glues, multi-purpose glues, anaerobic resins, pre-dosing products, cleaning products, etc. 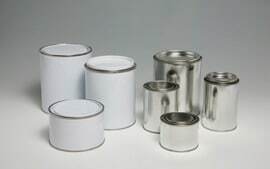 We also package into plastic cans, metal cans, plastic pots and metal boxes ranging from 25 ml to 10 L. These are often filled with industrial greases for maintenance purposes, wood glues or multi-purpose glues, neoprene glues and pastes. 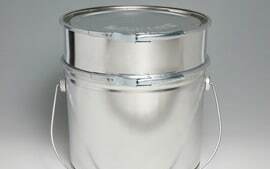 Some boxes or buckets can be assembled by a ring or can be nestable, for two-component products. Custom ratios are thus possible. We label, carton or kit these packages. 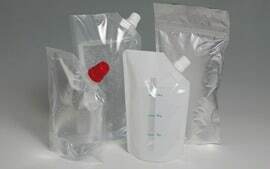 For the traceability of the products, we can also add by ink-jet printing a batch number, a DLU or a packaging date, etc. on the product itself or by offset printing on the label. We pack products into all types of bags but especially into Doypack® pouches, which are an innovative and ecological packaging solution. It allows visual differentiation from other products, especially as it offers a beautiful printing surface. Very practical, it comes in several shapes and allows different closing systems (caps with or without lid, simple welding, zip). 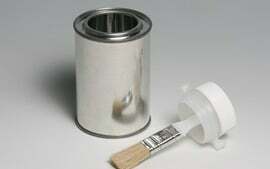 We can also add a Eurohole (hanging hole) or a handle. Printing of bags is possible from 20,000 pieces. Below this threshold, we can label them. 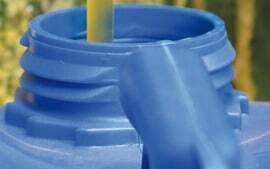 As they are easy to squeeze and empty, wastage is limited. 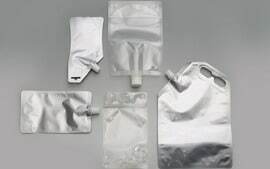 It is however very important to make sure the product to be packaged is compatible with Doypack® pouches, and our sales team has acquired extensive knowledge on the subject. The industrial products compatible with Doypack ® pouches can be: greases, oils, coatings, acrylic sealants, paints and glues. 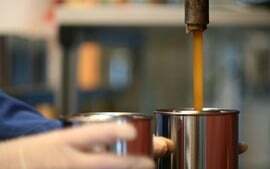 We pack volumes ranging from 50 ml to 5 L depending on the intended use – one shoot, refills, pre-dosing, etc. To support our sale of Doypack®pouches, our communication agency has created pictograms which clearly explain the advantages of this packaging. If required, we will make them available to you.